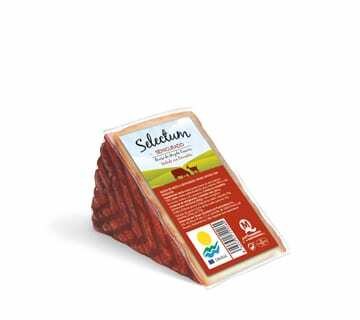 A characteristic flavour, mild, fresh, with a rich protein and calcium content. 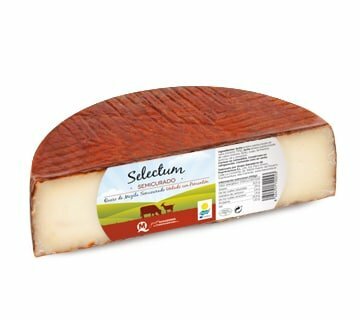 Can be eaten along or accompanied by different dishes, as an ingredient in salads, on canapés or toast, fried or grilled, as an ingredient in desserts, perfectly combined with jam, quince jelly or fruit such as apples. 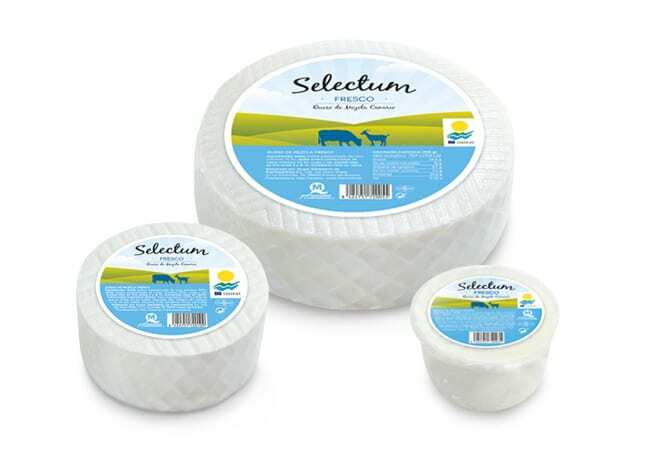 Fresh cheese 4 kg approx. 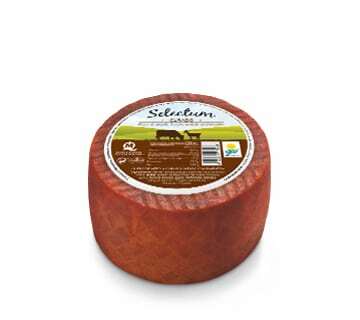 Medium ripe, rolled in paprika: a mild flavour but highlighted with the special touch given by rolling it in paprika. 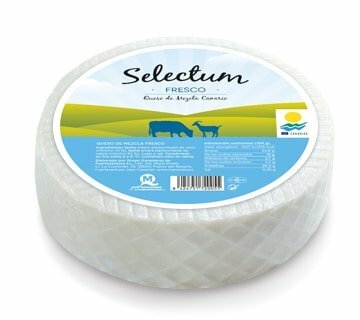 Thanks to its ripening period in each every detail is cared for, its odour and flavour are intensified, making it pleasant for any palate. 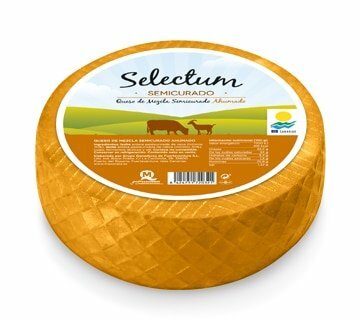 It is an ideal food as a snack, accompanying a main course or as a simple starter. 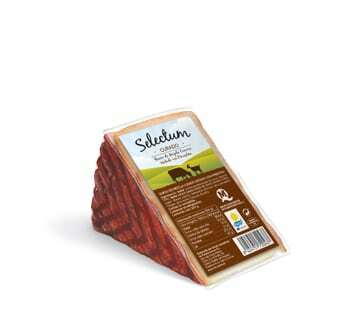 Smoked medium ripe: a unique flavour thanks to it having been smoked with beech chips to highlight its great aromatic richness and excellent flavour. 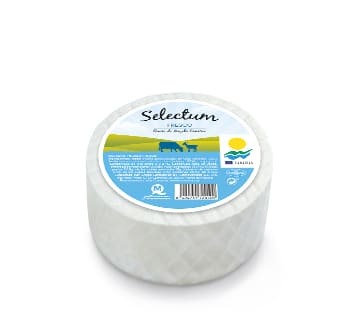 Ideal for melting and goes very well with all types of meat and fish. 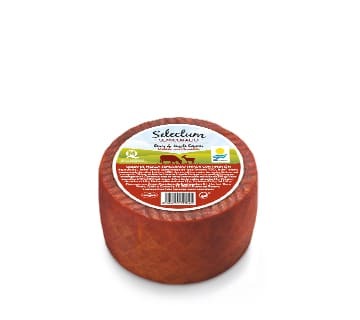 Also recommended on hamburgers and in salads. 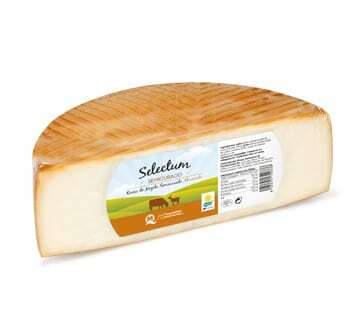 Its flavour blends perfectly with hazelnuts, walnuts and apples. 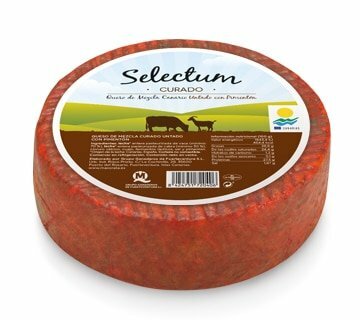 Medium ripe paprika coatted cheese 4 kg approx. 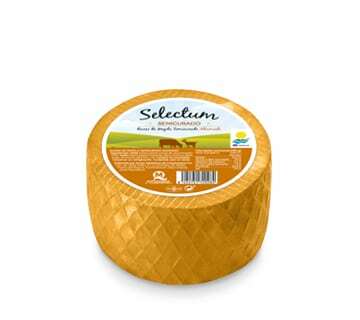 Medium ripe smoked cheese 2 kg approx. 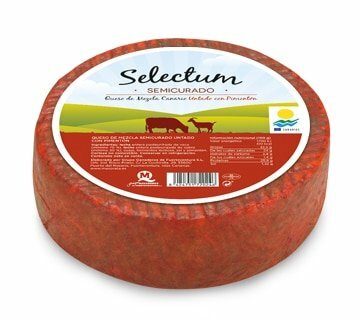 Medium ripe paprika coatted cheese 2 kg approx. 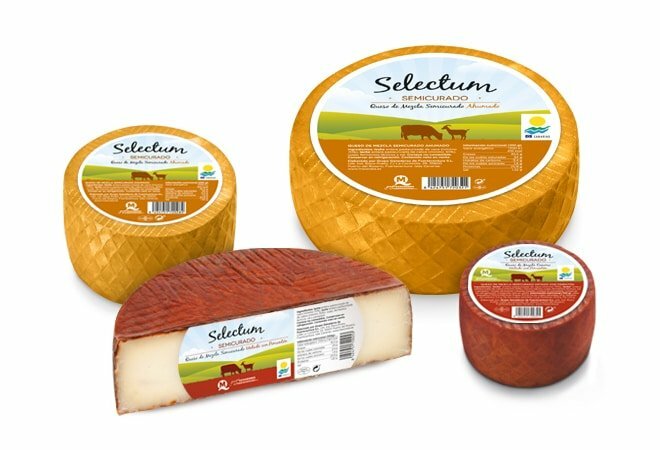 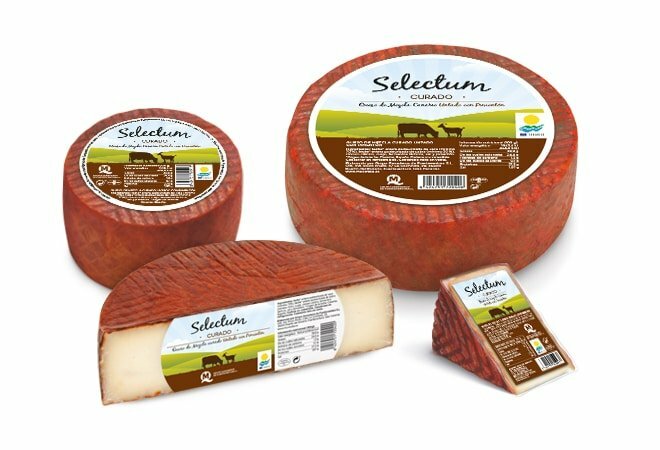 Medium ripe smoked cheese 4 kg approx. 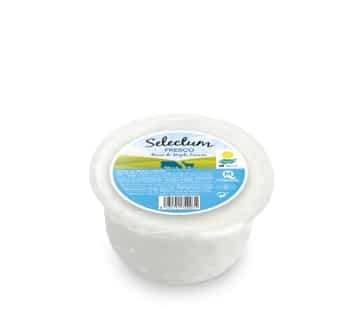 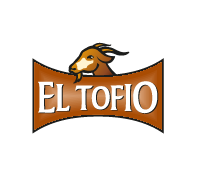 Ingredients: Whole milk pasteurized cow (minimum 70%), pasteurized whole goat milk (minimum 30%), milk enzymes, rennet salt and paprika. 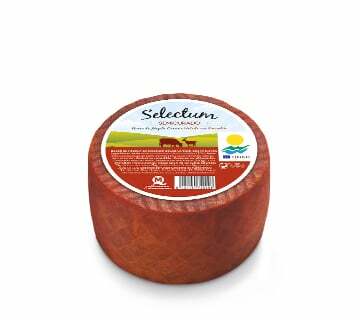 Hard ripe paprika coatted cheese 4 kg approx. Hard ripe paprika coatted cheese 2 kg approx.